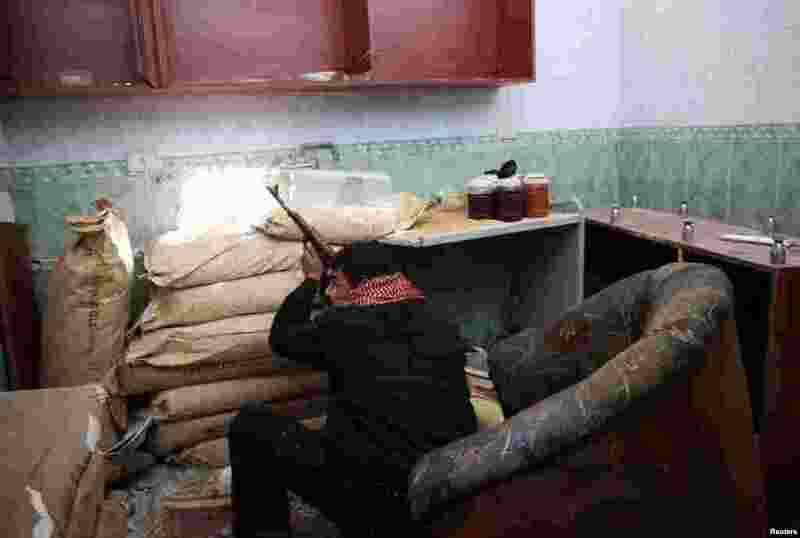 1 A Free Syrian Army fighter takes position inside a house during clashes with forces loyal to Syria's President Bashar al-Assad in Damascus, February 12, 2013. 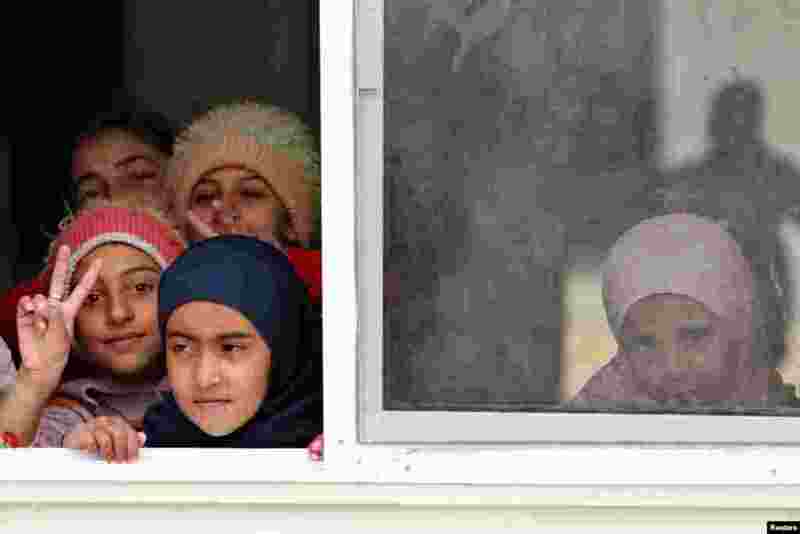 2 Syrian refugee children look out of their classroom window at Al- Zaatri refugee camp, in the Jordanian city of Mafraq, near the border with Syria, February 12, 2013. 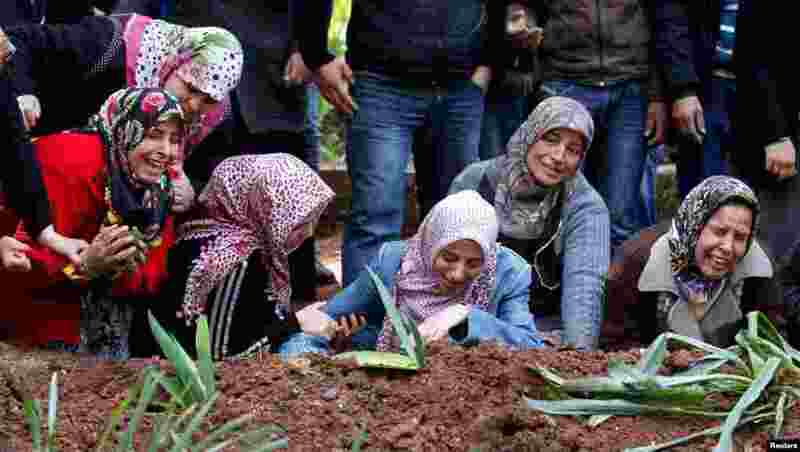 3 Relatives of Ali Sille, one of the 13 people killed by an explosion at a crossing on Turkey's border with Syria, mourn at his grave in the town of Reyhanli, Turkey, February 12, 2013. 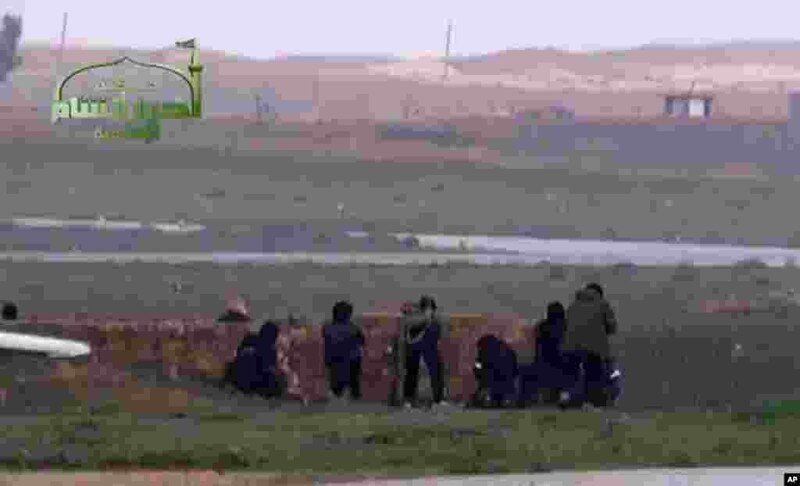 4 This image taken from video shows Syrian rebels at Jarrah airfield in Aleppo province, February 12, 2013.